Over time, money becomes a system of repeated behaviors. If you grew up spending money, you are most likely to continue that habit, as an adult. If you grew up with philanthropy as a meaningful way to help causes that are important to you, you are most likely to continue doing so as an adult. If you were accustomed to asking your parents for more money as a kid, to supplement what you earned or what you were given, this behavior will likely continue with credit cards substituting as your parents’ source for more. It is not easy to change a habit once it has been ingrained, even when you want to. You may have discovered that as you have attempted to change food, exercise or your own money habits. Why is it so hard? Well, it seems to be all in our head. Researchers have found a small region of the prefrontal cortex responsible for switching on and off our habits. This area, as the command center, also controls planning and thinking. Using rats as their subjects, researches at M.I.T. (Massachusetts Institute of Technology) found that some habits are flexible rather than ingrained. The IL (infralimbic) cortex can form new habits from the constant moment to moment decisions and actions we make. As we all know, who have ever changed habits, it takes time, patience, support when the “old habit” kicks back in and a method back to the new habit. One of the toughest things to deal with is changing a habit or behavior once you figured it doesn’t work for you. When it comes to your money, If you know you have a habit that needs to change, such as a chronic pattern of over spending, consider these 3 essential tips to help you form new productive habits. 1 What does the overspending give me (what is the emotional pay off this overspending provides)? We have to examine the emotional payoffs as this is often the contributor to our habits. You may have to really examine this closely. There is some need the overspending is filling. What is it? 2 What habits do I want to have with my money spending? 3 What first step can I take to model the habit(s) I know will be productive for me. Although this is merely a primer to help you change a habit, if you can begin here, you will have taken powerful steps to changing your money habit. You can thank your IL cortex for the role it had later. Tell me what you discover about the money habits you commit to changing. It is important for couples who are arguing over money to take a moment to change the narrative. Instead of rehashing the perceived problem, engage in a different conversation about money. Start your next conversation with a question. “What would you like to change with your current money management? There are many more questions that can be asked but I wanted to get you started. You may think of ones on your own as well. The key point is to remember to make your questions open ended and inquisitive rather than confrontational. A question like: “Why don’t you save money?” is more confrontational than “What is important about saving money to you?” which is more inquisitive and invites understanding. People want to be understood and it is important that questions be framed to do that. It gives context to someone’s current views and behaviors around money. It can transform the existing anxieties about money to understanding where the other person’s views on money derived. Have your conversations be ones built on respect and understanding as you develop strategies to your productive conversations about money. One final thought: share your responses to these questions as well…after the person you are engaged in the conversation with is done with their response to the question you asked. Trust is built when people feel listened to and understood. Here is an opportunity to listen, share, seek and offer a bridge to understanding. Would you like more guidance as move your money conversations from mess to success? I would love to help you! Send me an email at bhaj@focusasndsustain.com and let me know an issue you are facing with your money. Let’s get you on track to having money conversations that work for you. Money conversations are not always easy. Surveys by the Certified Divorce Financial Analysts show that money is one of the top causes of divorce while Think Health Magazine finds it to be one of the top two causes of divorce. Dr. Brad Klontz a financial psychologist and associate professor at Kansas State University has found that money anxieties are fostered because people are not generally used to talking about money in a substantive manner. Too often it can “seem like a mind field that can easily go wrong, Brad says. Couples can find that there disparate upbringing, experiences and expectations around their money spill into their expectations and judgments of their partner’s habits and behaviors. Of course, their partner had their own set of money experiences growing up that they bring into the relationship. Because “much of their beliefs around money are held in their unconscious,” Brad continues, “they really don’t come out to play until you are in a relationship.” These money stories and scripts can play havoc on primary relationships when the current money habits and behaviors play out. Allianz’s LoveFamilyMoney Study, conducted in 2014 with over four thousand adults, found that financial issues causing the most stress in spouses were: planning for future needs at 76%, covering current financial expenses at 62%, and getting out of debt at 56%. Allianz’s study further revealed that 28% felt they spent too much on unnecessary things, 29% said their financial baggage was difficult to overcome and 23% were not saving enough money. Resentments can build when the right conversations are not held. It is important for couples who are arguing over money to take a moment to change the narrative. Instead of rehashing the perceived problem expressed by “the other person,” engage in a different conversation about money. Asking the right questions, which we will delve into in the next blog, make a big difference to feeling like you have a strong financial partnership. How are money conversations in your home? Let me know. If they are precarious, our next blog will introduce conversation tips to transform your home money anxieties to understanding and resolutions. 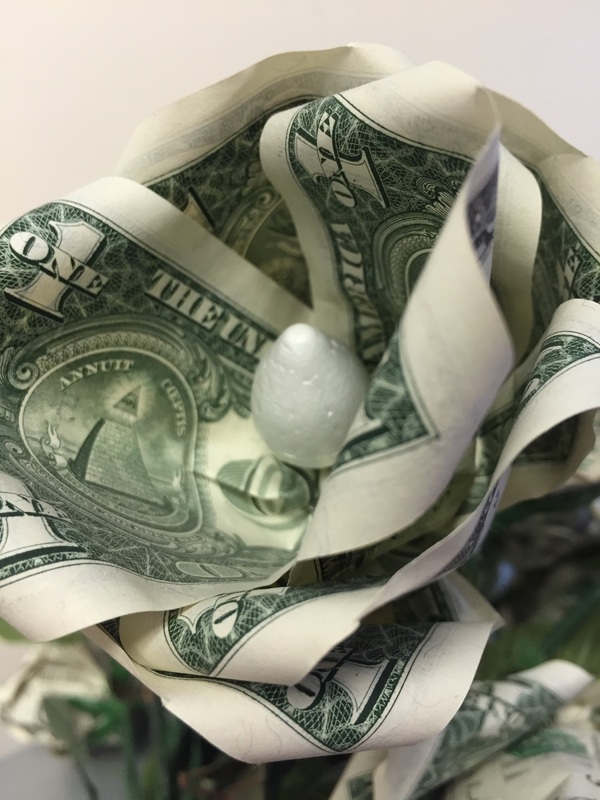 Because I often host money workshops, I do not have the experience that my workshop attendees (mostly intergenerational members of families) have. It was a delight to be able to participate in a workshop hosted by a therapist. In this money workshop, we all pretended to be a family. Although none of us were related, it did not take long for emotional dynamics to come into play between us. The first direction was to take the bills out of our wallets and give these bills to the host. Immediately questions of trust were unearthed. Would the money be returned? Should I hold back any bills? Who cares, it’s just money, right? were just some of the dynamics that came up. The host then told us to put any money that we had above the smallest amount a player had in their hand, in a pile on the floor. Each participant now had the same amount of money in their possession. Tension turned to relief and awkward laughter. The host asked everyone to talk about their favorite charities which we did, one at a time. The host then had us talk about what should be done with the money in the pile on the floor. Should it be returned to the participants or should it be given to one of the charities mentioned by us? We had seven minutes to reach consensus. We did not reach consensus. The host then had everyone pick a number from a hat. He called out a number and the person holding that number was identified. The host then told us we had another five minutes to reach a consensus about what to do with that money or it would go to the person holding the number he called. Still no consensus so the host gave the money in the middle of the floor to the person whose number he had announced. Two people were okay with the outcome; two people were outraged that their money had been “taken from them”; one person asked what the person who was awarded the money was going to do with their new money? The person with the money said they would either give it to the charity they had defended or they would return it to each participant so they could be made whole. But the group had to come to a consensus on which choice to make. The decision was to give it to the organization that the person holding the money had talked about. We then debriefed on the exercise, paying close attention to the emotions we exhibited and the feelings we had during the various sections of the money exercise. I found myself noting reactive behaviors triggered by feelings I had as a child around money. Money exercises are a wonderful way to experience beliefs and emotions around money. You can identify patterns of behaviors that are unproductive and introduce new patterns of behaviors that encourage productive habits and behaviors around your money. Often, we hide and bury these feelings but they can come up in the oddest places. If you would like to explore a money exercise with your family or group, let me know. I would be delighted to develop a money workshop for you. When money can be talked about without the added emotions of hidden blame or unrelenting shame, money conversations can become like other productive conversations: meaningful and connective. When money conversations become supportive rather than decisive, money conversations can be engaging and powerful. Instead of blaming others for their behaviors or shaming ourselves for behaviors and habits we are exhibiting, we become supportive of another’s and our own objectives with money. We become engaged in conversations as we understand others and our own motives and intentions with their and our own money. We can then put in play powerful actions to attain our common objectives. What makes this transformation from feeling divided to feeling unified around money? When we understand each other’s views and stories about money, we become more engaged with their struggles and triumphs with money. When we take money “out of the closet” of isolation, blame, or shame, and bring it into our shared lives, as partners and as a family, money becomes a productive tool. What restrains you from talking about money? Is it lack of confidence on your ability to make consistently good decisions about money? Is it an inability to engage your partner in conversations you think are important with your money? Is it an inability to know how to approach planning your financial goals? Is it an inability find time to spend on financial matters and if you had the time, not knowing how to frame a conversation on financial matters? Is it a fear that conversations about money will lead to tension or disinterest from your partner? These can be dealt with productively and effectively. The first question you can ask someone you share finances with is: What is important about money to you? And let them response without interruption from you. You can learn a lot by asking this one question. When you find out what is important about money to yourself and to those with whom you share financial interests, money will transform from being hard to talk about to being a welcomed subject of conversation in your house. Let me know what keeps you isolated with your money or, how you have created a bridge from isolation around your money to it being a productive tool in your and your family’s life. Debt is back, big time. The tightening that occurred after the crash of 2008 has been replaced by debt approaching $1 trillion dollars. And it shows no signs of abating. Student loans and credit cards may be good for the issuers who capture more revenue through high interest loans and late fees but they are creating a pool of consumers sinking deeper and deeper into debt. Credit card debt has already surpassed the pre-2008 crash levels, per WalletHub. Thirty-four billion dollars was added to credit cards in the last quarter of 2016 alone WalletHub found. To add to that increase, in the same period there was a record low payback of debt. In my conversations with Millennials, I hear a range of concern about their debt. Some do all they can to avoid debt by delaying college until they can afford to pay for it or work for companies that will pay for their college education. I know one Millennial who has $300,000 in student loans. She told me that it is the price she has had to pay to attain her law degree. Although the debt does add stress to her life, she does not want it to confine her life to just working. She figures she will have this debt all her life and hopes that the government will one day forgive it. What have we done, where we have created a society saddled with debt as a way of life? Is this a sustainable model? I do not think so. It may seem to work for a generation but it is not a sustainable model for financial strength. Ongoing and mounting debt gnaws at the edges of the fabric of freedom, independence and self-worth. Debt is a burden. It may not direct all our actions but it directs our thoughts on how we think of ourselves. Tell me your thoughts and how you deal with debt in your own life. I would love to hear your thoughts on this mighty subject. Saving money is difficult for some people. It’s just too easy to part with those bills taking up space in your wallet. Plus, those bills are worn and small denominations. Why keep them when you can just get rid of them on a mindless transaction. There have been several studies, and a recent one, found in the Journal of Consumer Research, stated that: “The physical appearance of money can alter spending behavior. 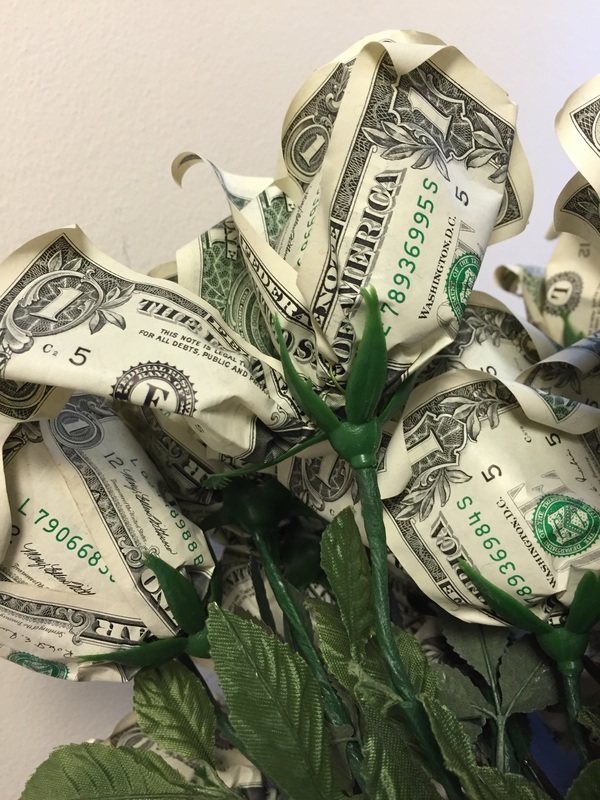 Consumers tend to infer that worn bills are used and contaminated, whereas crisp bills give them a sense of pride in owning bills that can be spent around others,” concluded authors Fabrizio Di Muro an Theodore j. Noseworthy. Participants in several studies were given worn or new bills and their behaviors were observed as they went shopping. The participants favored the newer and crisper bills and they favored larger bills. By favoring, the participants were less eager to part with the crisper bills and would exchange worn bills for goods even if a crisper bill was of a smaller and more appropriate denomination. So, if you want to save money, give yourself crisper bills. If you want someone else to save the money you give them, give them crisper bills as well. Look at how you use your worn versus crisper bills and if you do not have crisp bills, ask the cashier for them when requesting change or ask your bank teller for crisp bills when they give you cash. Tell me your experience with your worn and crisp bills. Which do you favor? Kids, ages 10-14 scored a 54%, ages 15-18 scored a 60% on a 30 question national financial literacy test. This test measured their ability to save, earn and grow money. Kids have access to money but do they understand how to use money? According to this financial literacy test, no. Of course, they know how to spend but can they count the change they have received? Is it the correct amount? Next time you have a transaction where you give a $20 bill for an item costing less than $10 watch the change making ability of the cashier. How easy or hard is it for your child to determine if the cashier gave them right change when the register does not tell them what the correct change should be? Do kids check their receipts to make sure they were charged correctly? Research conducted in 2012 by uSwitch found that 70% of consumers were overcharged on a bill in the last year…and did not know it until it was pointed out to them. Just how familiar are kids with making change, with being charged correctly, or with being overcharged? When they see these habits in adults who show them how to model behaviors, it is easier for them to do the same. When kids do not see a model to imitate, checking receipts or counting change can be embarrassing. They feel uncomfortable not trusting or believing the cashier. They have not been taught how to properly deal with this. It’s time to teach kids about money. After all they use it every day and checking their receipts and counting their change is a good habit to learn. You might even decide to reward them for discrepancies they find. This will go a long way to raising health financially literate kids. Leave a comment and tell me what you do to encourage and build your kids’ healthy money habits? Let me know if you need help with this endeavor. We can help. Money, it takes a lifetime to build it, an instant to lose it. What are you doing to safeguard your money? Money, it is easier to make money than it is to keep it. With the marketing machine constantly reaching out to us, we have to know the purpose of our money or we will most likely part with it too easily. The secret to money is knowing what yours is for. Yes, yes and yes to this one! You make good choices because of the heroes, models, mentors and experiences who guide your thinking in the proper way. Who are your money and financial role models? Money without meaning is like candy without a wrapper. It’s too easy to devour without restraint. This year, money and I will be friends, and not part company as easily and as often as last year. Put the processes in place and use the tools to make this so. Measure your behaviors so you can tweak your progress. Let me know which quote resonates with you. If you have another money quote you like, let me know that too. Everywhere you go there seems to be a line whether you are buying your coffee or tea, getting through airport security, waiting for a table at a restaurant, there is always a line. It may not be as visible, but your money has a line forming for it also. Who is always first in line for it? Why, your favorite uncle, Uncle Sam. Uncle Sam demands to get paid and does what he can to stay #1 in line for his portion. Taxes always come out first in a financial transaction. Uncle Sam demands immediate compensation from a deal. But who is second in line for your money? It depends. For many it is the merchant like the grocery or retail store. For some it is the account that you have agreed to pay second like a settlement, alimony, or a collection payout. I want you to reconsider who should be second in line and if this person is not already there, I want you to put them second in line. I want you to place yourself second in line, after that demanding Uncle. I want you to be as adamant about being second as Uncle Sam is about being first in line. And be as adamant about that as Uncle Sam is about being first. I want you to take your position seriously and responsibly by having a plan and manifesting that plan so the money you have for yourself builds and supports the life you want. Think of the 5 S.I.D.E.S. of Money© and determine how you are going to allocate the money you will have by paying yourself second to Saving, Investing, Donating, Earning, and Spending. When the money comes you then are ready to allocate it as you planned to those five S.I.D.E.S. of your financial life. Be fanatical about putting money into those 5 S.I.D.E.S every time you have money pass through your hands-without exception and you will become a steward of your own money. You will come out ahead. Leave a comment on how you make sure you pay yourself second.